I’m sometimes asked for the common mistakes applicants make in MBA admissions essays, and at some point I’ll pull together my all-time list. But in the meantime, here’s a mistake I see a lot of among clients: muddling up the demands of MBA admissions and a venture capital pitch. What I mean is, applicants who are on an entrepreneurial track (including social entrepreneurship) and who are therefore talking about creating and building a firm, feel they have to make a VC pitch for their proposed venture. 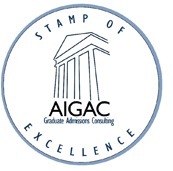 They seek to justify themselves and therein their MBA admission in terms of attractive markets for their product, low working capital requirements, short time to breakeven, and so on. 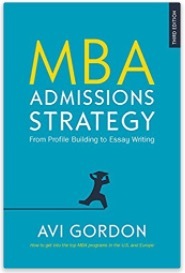 Now it is always good for MBA admissions to show detailed, careful thinking. And if your “why-an-MBA” is based on a new business, you need to talk about the proposed venture and its industry-market background in a specific and knowledgable way. But you don’t need to make “the business case.” Adcom is not a VC firm. As long as the idea is not manifestly absurd, they can’t determine if it will actually work, nor are they ever going to try. This is not their skillset, and not their fundamental concern. Put it this way: A VC firm will “like” a business idea if it thinks it will one day be able to exit the investment with much more money than it puts in. If so, the VC will, to quote Dragon’s Den, “make you an offer,” that is, invest cash for a percentage of the business. MBA Adcoms are not investing cash. They will “like” a business idea if your venture seems broadly plausible, interesting, ambitious, doing something worthwhile in the world, and worthy of an MBA. If they do, your offer will be a place in their business school. They take a bet you will be generally successful in your professional life, not that you will be financially successful in the particular venture you are talking about. So, while you should make a general case for your new product or service, for MBA admissions your venture does not need to be watertight. You can include the jumps of ambition and enthusiasm that you would have to scrub from a funding pitch.